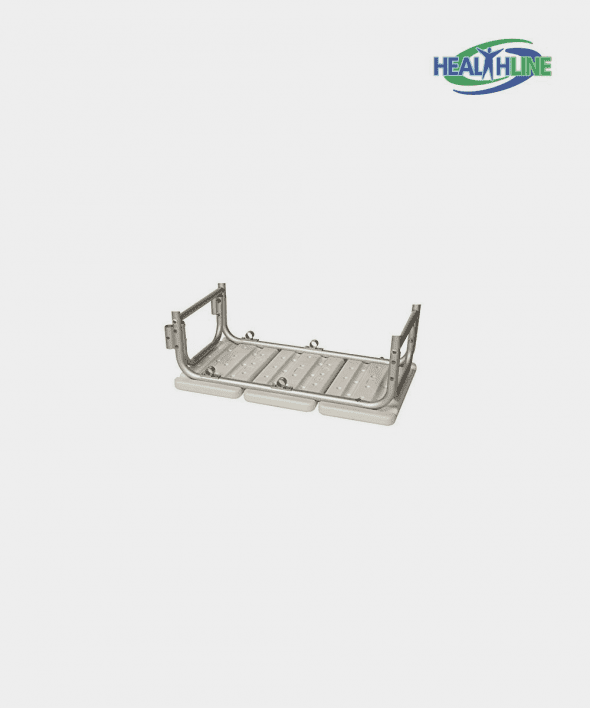 Limited mobility can make bathing difficult for both patients and caregivers— but the Healthline transfer bench with supportive back makes bathing less of an onerous task for both parties. 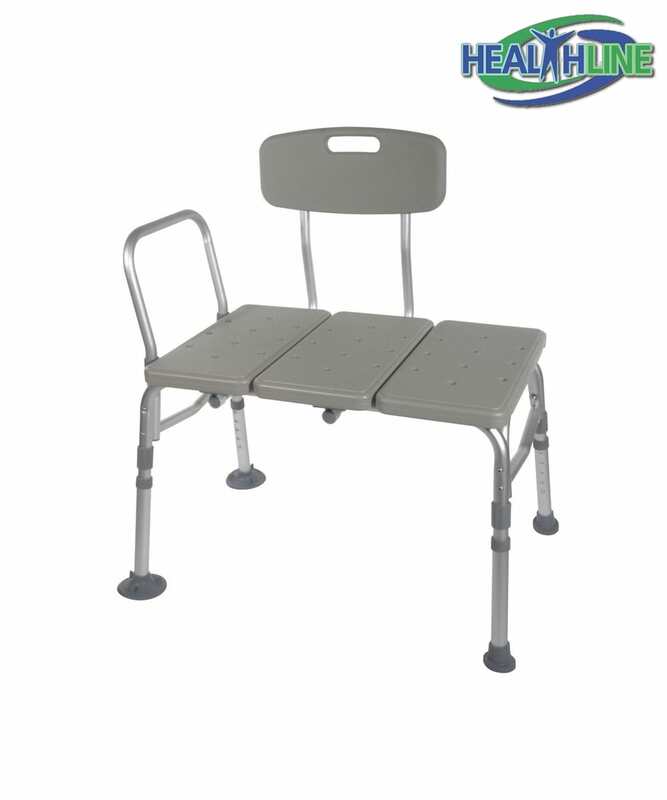 The bathroom mobility aids – a transfer bench with adjustable height legs is suitable for almost any bathroom, fits every bathtub or shower spot. 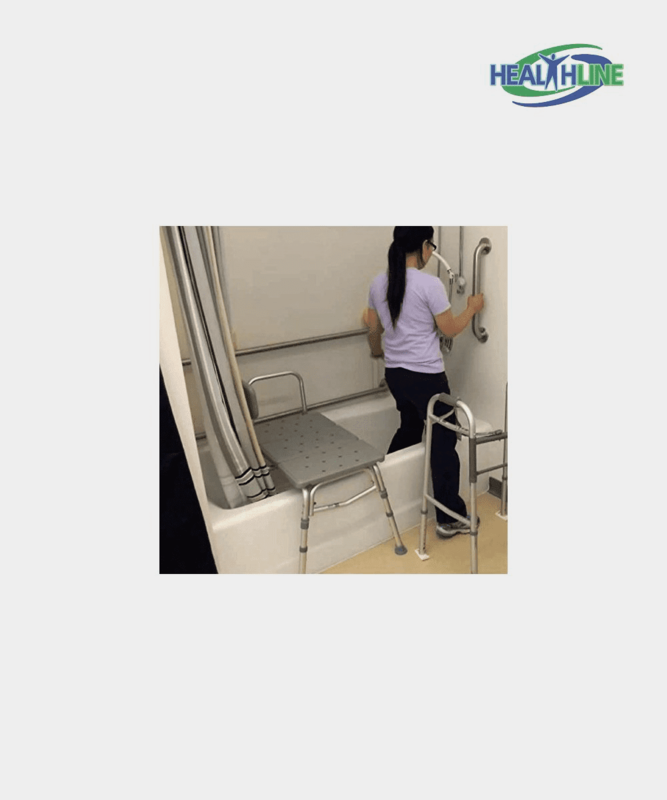 Waterproof, sturdy, slip free and stable – it makes for a great addition to a bathroom of a family with a bariatric patient, post surgery recovering person or a post stroke patient, people with limited range of motion or limited dexterity. Drainage holes in the sitting surface prevent the user from slip and fall accidents, from wiggling around when taking a shower. The large size and the wide surface of the bench allow for extra storage space for shower accessories. This bench is made from anodized aluminum. It is lightweight and sturdy. It can be set over the bath tub, so that the patient can start the transfer from a dry rug outside the tub and swing his legs swiftly into the tub. Suction cups on all four legs of the mobility bath aids and easy to assemble structure promote safe and secure way to take a bath. 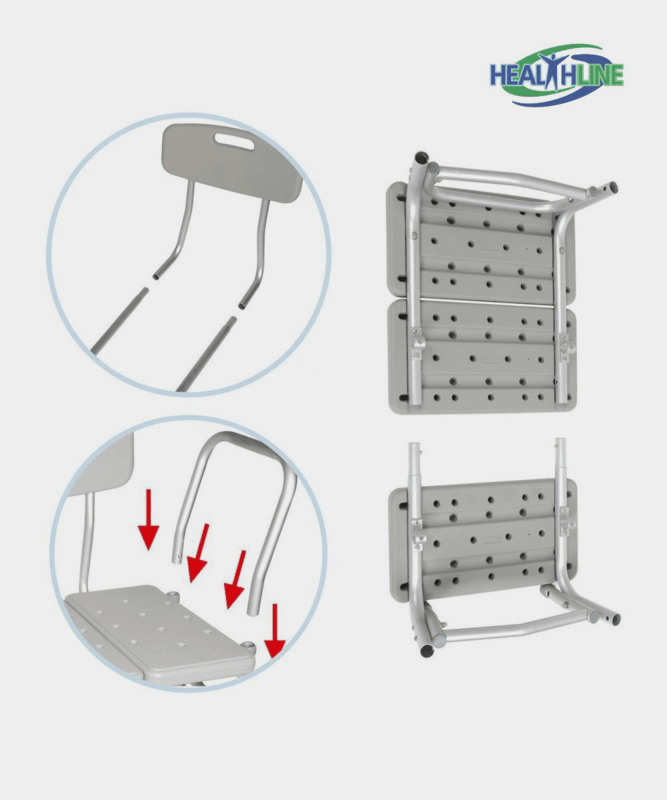 A patient can hold himself up thanks to an armrest rail, grabbing it when necessary. 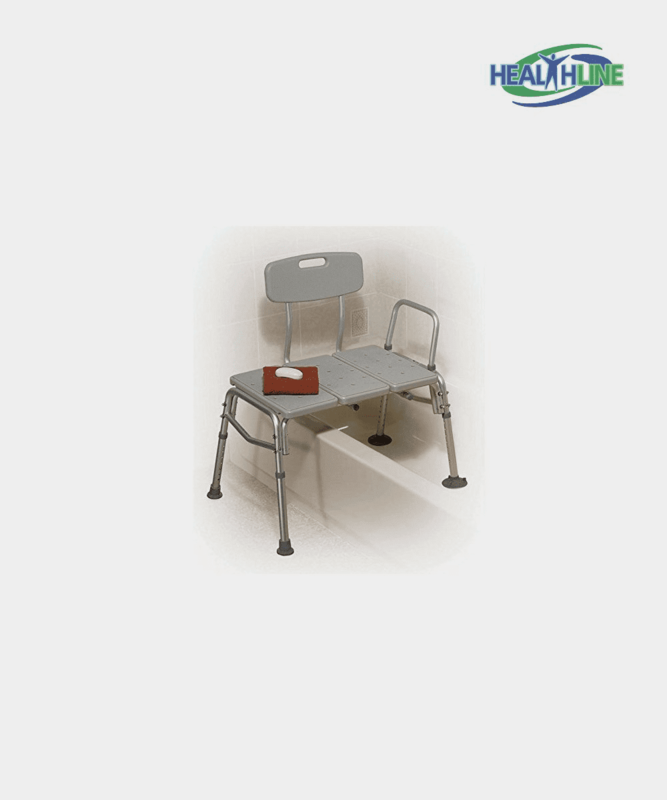 Height adjustable and strong, legs of the bench provide stability and comfort for the patient and the caregiver. 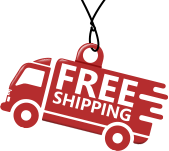 The product is made to support up to 300 pounds of body weight.